(1973 'Oak Publications') (12:49/22) Umfangreiches Lehrbuch voller Informationen zur Geschichte und Techniken des Bluespianos. Von 1900 bis in die 70er werden die Spielweisen von 22 prägenden Pianisten dargestellt / An informative guide to blues style piano playing, covering all styles and history from 1900 to the 70's. Transcriptions of recordings by 22 exponents of barrelhouse and boogie piano. 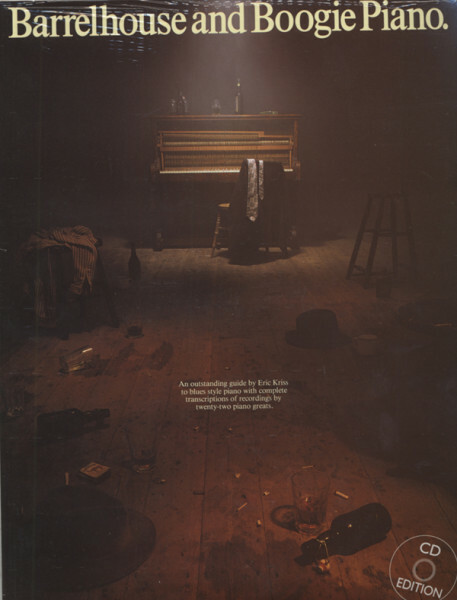 Just to mention a few: Memphis Slim, Alex Moore, Cow Cow Davenport, Jelly Roll Morton, Sunnyland Slim, Piano Red. Comes with CD. Paperback, A4, 112 pages. Kundenbewertungen für "Barrelhouse And Boogie Piano (BUCH+CD)"